When the squirming, screaming bundle was laid on my chest, my heart swelled with a love I never imagined. This is my daughter. This is Rachel. I always wanted to be a mom. Before we married, my husband and I agreed we wanted a family. 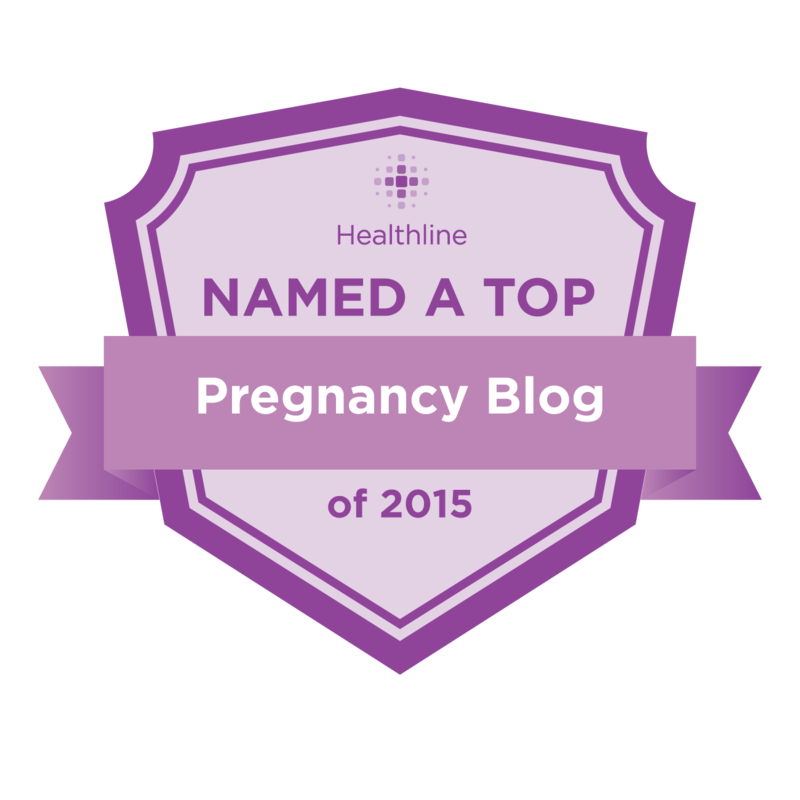 My blindness is not hereditary, so I was surprised by some of the reactions to my first pregnancy. Old friends and relatives, who had known me as an independent, self-reliant blind person, expressed concern. I had done a lot of soul searching, had spoken with other blind parents and decided my answer was a resounding “yes.” I realized there would be tough times ahead, but I knew there would be rewarding moments, as well. Our son, Eric, was born when Rachel was five. This was a large age gap, but more than anyone, I knew my limitations. I did not want the simultaneous responsibility of an infant and an active toddler. My answer was always the same. I made accommodations as a mother. I used common sense. As toddlers my children wore bells on their shoes, so I could hear them. I was always careful to keep doors and gates locked. Articles that could hurt them were put away. My other senses worked overtime. I could never let down my guard. When Eric and Rachel were older and had activities to attend, I discovered what I still consider to be the biggest hurdle for a blind parent—the ever-present transportation problem. My husband worked long hours, so transporting our kids to and from their activities during the week was my responsibility. Did my kids miss out on some activities they wanted to attend? Of course they did, but so do most children. I managed with the aid of buses, taxis and kind friends and neighbors. Rachel and Eric learned that walking somewhere never hurt anyone. Basketball, baseball, gymnastics, ballet, scouts and high school marching band became a huge part of my life. Were there scary moments when safety was a factor? Of course there were, as there are for any parent. One afternoon, when Rachel was nine months old, I heard her choking. I began to panic, but my “mother’s instinct” took over. I remembered “the finger sweep” from an old CPR class and dislodged a small piece of a sponge mop from her throat. When Eric was three months old, I took him into his room to change his diaper. I still don’t know why, but I hesitated at the changing table. Call it instinct, mother’s intuition or a guardian angel, but a voice inside advised me to put my hand on the table before I laid him down. I felt what I thought was a spider. I flung it hard against the wall and hoped I had killed it. Since I am terrified of spiders, I gathered all the supplies Eric might need for the rest of the afternoon and closed the door to his room. I had to wait three hours before my husband arrived home. He discovered a black widow spider weaving a web in the corner above Eric’s crib. Even today my insides turn over to think what may have happened if I had laid my infant son on that table. Two of the most frightening incidents occurred when Eric was in the care of other people. When he was three, he slipped out the front door and wandered away to the elementary school a few blocks from our home. The two sighted adults in charge were seated near the front door and never saw him leave. At the age of ten, while visiting a friend, the parents allowed the boys to ride bikes on a street I considered too dangerous. Eric lost control of the brakes and spent the next three weeks in traction, followed by six weeks in a body cast. Now that Rachel and Eric are grown, they enjoy sharing anecdotes with others about their experiences. People often mistakenly believe that because they had a blind mom they got away with a great deal. Rachel’s favorite story always makes me smile. “Don’t you stick your tongue out at me,” I reprimanded my five-year-old. I didn’t fill her in on my secret until years later. The thing my husband and I stressed with our children above all else, was honesty. They were taught not to take advantage of my blindness with important matters. When Eric was in high school, I inadvertently gave him a twenty dollar bill instead of a one. Since he was honest about it, I let him keep the money. We always rewarded their honesty and it paid off. My children and I say that I have seen them. Any parent who loves, cares for and tends to their child’s needs, knows what their child looks like. My children learned at a young age that their mom “sees” differently from other people. I read “Twin Vision” books to them. These special books have Braille on one side with print on the facing page, so parent and child can read together. 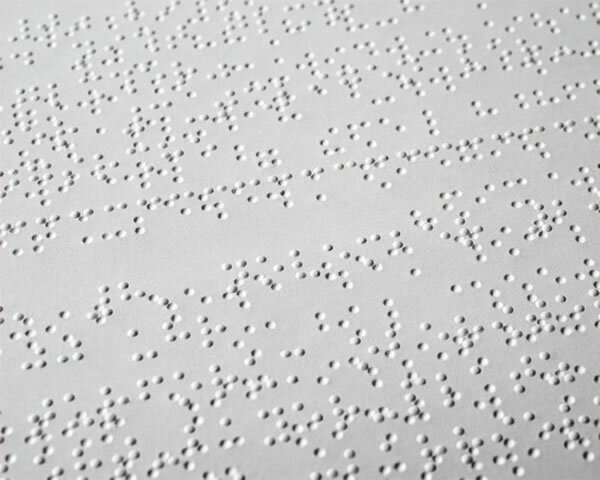 Illustrations have Brailled captions so the blind parent knows what their child is seeing. One day when she was two, Rachel brought me the TV Guide. She asked me what the picture was and rubbed my hand across the page. Even as adults they “show” me things in this same manner. They grab my hand, say “check it out, Mom” and encourage me to feel their latest hair style. Eric also “showed” me his full beard in this manner. Wrong! I was determined my children would not have extra responsibilities. As a result, I raised two children who did very few chores around the house. I did them a disservice. They both left home with a lazy streak. Rachel told me recently, as a junior in high school, she had trouble staying awake in math class due to late night phone conversations with her boyfriend. When her teacher reprimanded her, she told him she had a blind mom and had to stay up late helping around the house. We all had a good laugh at that one. All parents have obstacles we and our children must overcome. Despite inevitable parental mistakes, most children thrive when raised with an abundance of love and good values. Eric and Rachel matured into honest, kind people. They are college graduates working in good professions. I read this article and found it very interesting, thought it might be something for you. The article is called Blind Mom: Blindness No Impediment to Raising Children and is located at http://www.imperfectparent.com/articles/blind-mom-sighted-children/.